This winter, the Alps will be only a stone’s throw from Holborn, thanks to the Montague Ski Lodge. 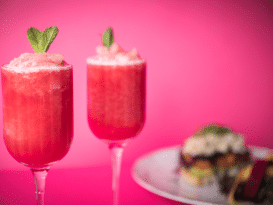 In 2018, winter pop-ups come in evermore inventive guises, whether that be riverside igloos or Parisian speakeasies. However, sometimes the old ways are the best – something which definitely holds true for Bloomsbury’s original alpine ski lodge. As cosy winter hideaways go, we reckon the Montague Ski Lodge might be the dreamiest alpine wonderland of all. 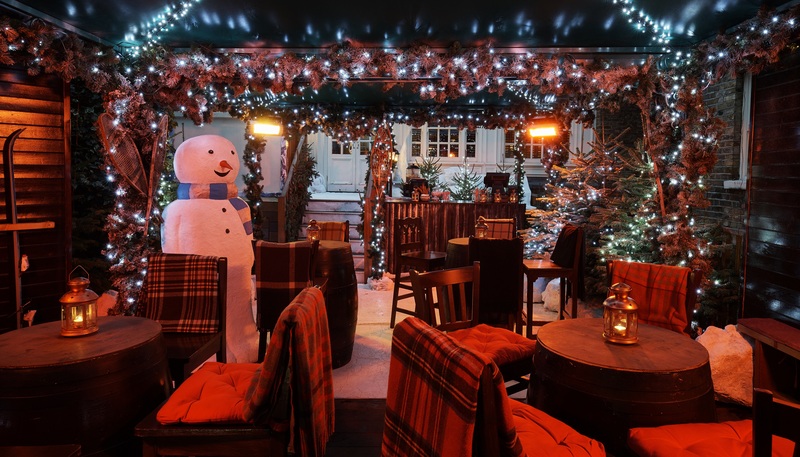 The uber-fancy and uber-Christmassy lodge is part of top Bloomsbury hotel The Montague on the Gardens. They’ve earned their impressive four stars with such delights as the safari-inspired Leopard Bar, and a private Cigar Terrace. On November 14th, the Montague Ski Lodge joins the lineup, bringing a luxurious touch to inner-city après-skiing. Bedecked in snow, ski gear, and pine trees, this ski palace looks utterly divine. For those of you who think après-skiing is much more preferable to sliding down a mountain, this place will be right up your street. Falling snow provides the illusion of being in the mountains, whilst the ski racks and piste maps adds a touch of ski cred. Meanwhile, reindeer, snowmen, and ornate lanterns will complete the Christmas aesthetic, and that’s before we even mention the food. Seasonal grub will keep you warm and full, with turkey schnitzel, bratwurst, and deep fried camembert on the menu. 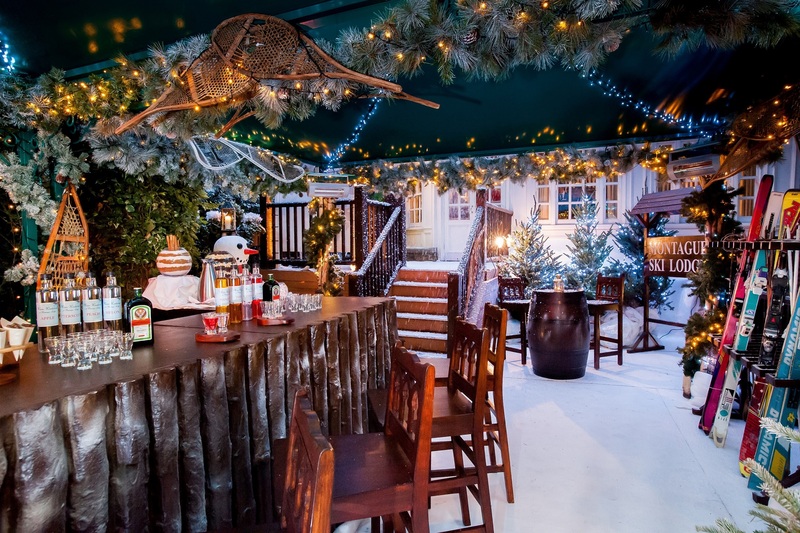 To wash that down, the Montague Ski Lodge offer mulled cider and hot chocolate cocktails – or for something a little stronger, you can opt for homemade schnapps and vodka, in flavours such as candy cane and butterscotch. 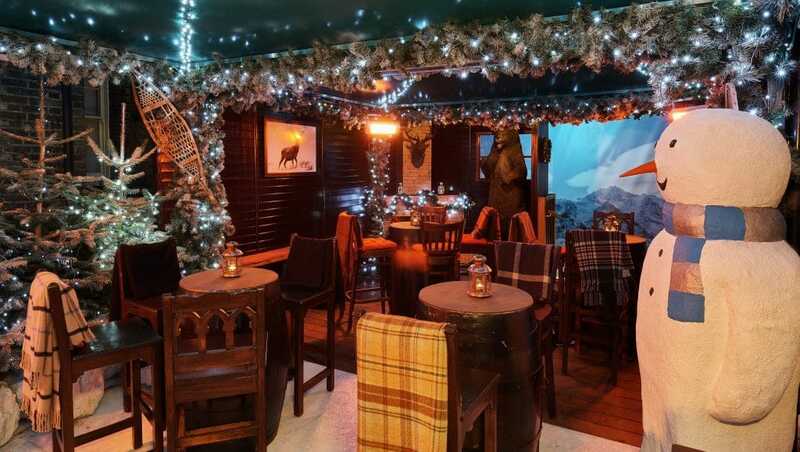 Honestly, with an cosy armchair, a twinkling canopy of fairy lights, and a warm mugful of something boozy, you’ll be as happy as a pig in a blanket. Best of all, you don’t even need to slide down a mountain to earn it! Location: 15 Montague Street, Bloomsbury, WC1B 5BJ. Nearest station is Russell Square. See it on Google Maps. Opening: opens November 14th, until January 13th, 2019. 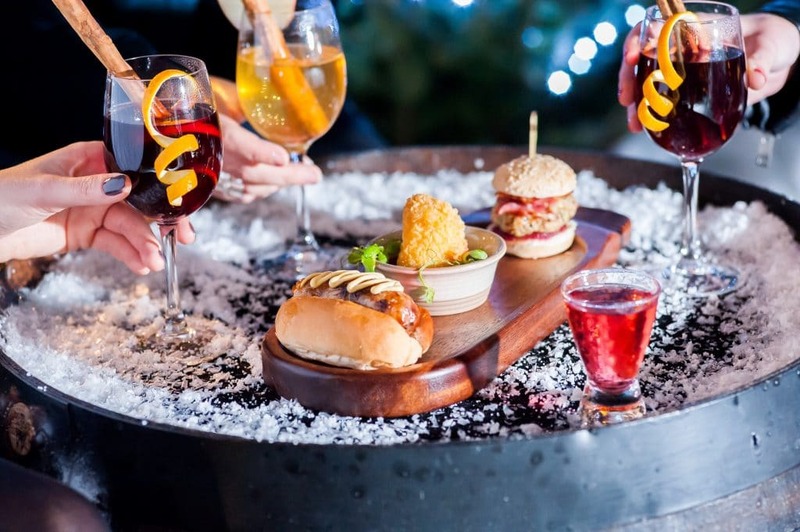 Price: £38 for an Alpine food platter and three drinks.